Ventura County. A beautiful place to live, sunshine, beaches, majestic valley oaks, shopping, fragrant fields of strawberries… And traffic. The freeway is congested and getting worse. Why is the 101 so congested? Commuters? Travelers? No, it’s us, Ventura County drivers. We tend to use the 101 like a main street. We jump on the freeway to cross town to take our kids to school, go to the farmer’s market, and commute to and from work daily, within the county. There are few alternatives for the 101 and the improvements over the years have not kept up with the demands we place on the 101. Congestion is projected to more than double in the next 20 years. How can the 101 be made better? Fortunately, help is on the way. 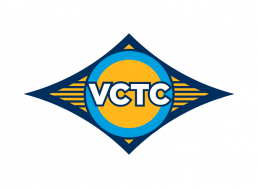 The Ventura County Transportation Commission (VCTC), working in partnership with Caltrans and the local cities and the County of Ventura, has taken the lead to identify improvements along this important connection to all we do. The Ventura County Transportation Commission (VCTC), working in partnership with Caltrans and our local cities and County, are all working together to review and plan our future 101 improvements along this important highway. The goal of the 27-mile project is to improve the existing infrastructure and reduce congestion, enhance traffic operations, allow for future traffic volume, while minimizing environmental impacts. Check for dates and locations for upcoming meetings and events.